What is The Relative Pitch? Who is The Relative Pitch? Shots from our February 24 show!!! It’s hard to believe that we have already had five The Relative Pitch Shows!!! Thank you to all the performers and their families for coming out and making this possible and to The Broad Street Cafe and all of their amazing staff for accommodating us. 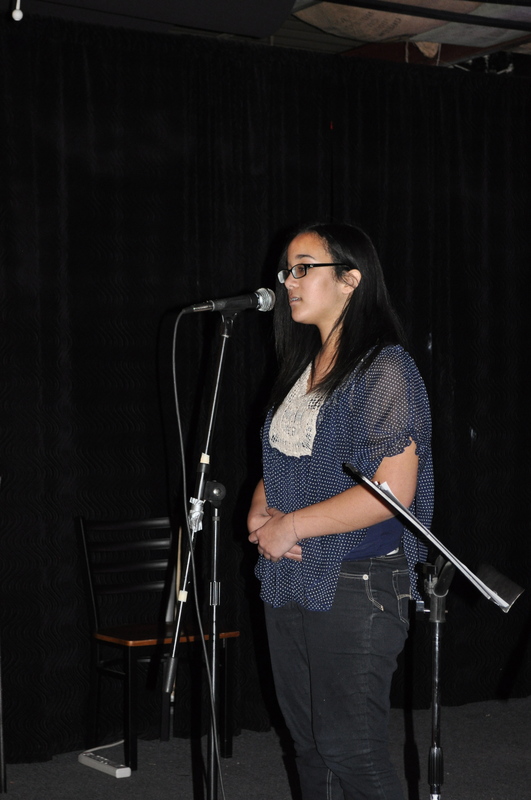 The February 24 show saw several new performers as well as a few familiar faces. Remember, you too can perform in a Relative Pitch show! There are only two left before our summer hiatus: March 24 and April 28. Visit our Performer Sign Up page to sign up! Relative Pitch newbie McKenzie sang two selections, Paramore’s “The Only Exception” and Sara Barailles’ “King of Anything”. 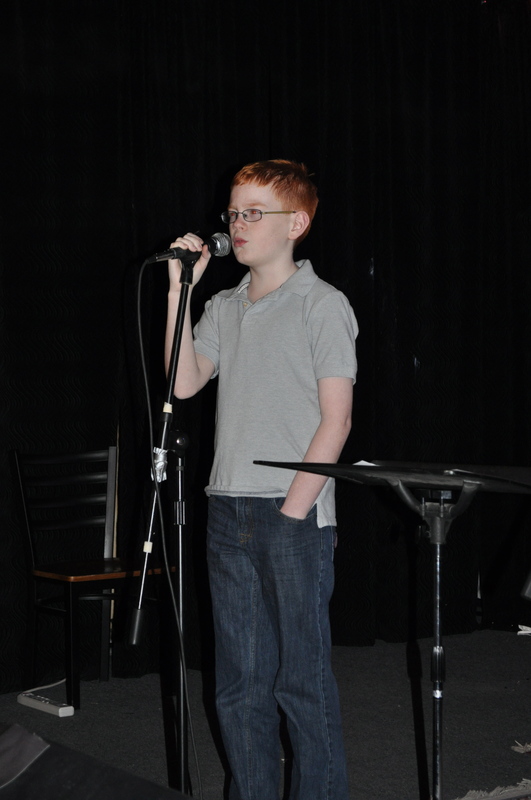 Veteran performer Josh entertained the audience with his rendition of “Every Storm” by Gary Allen. 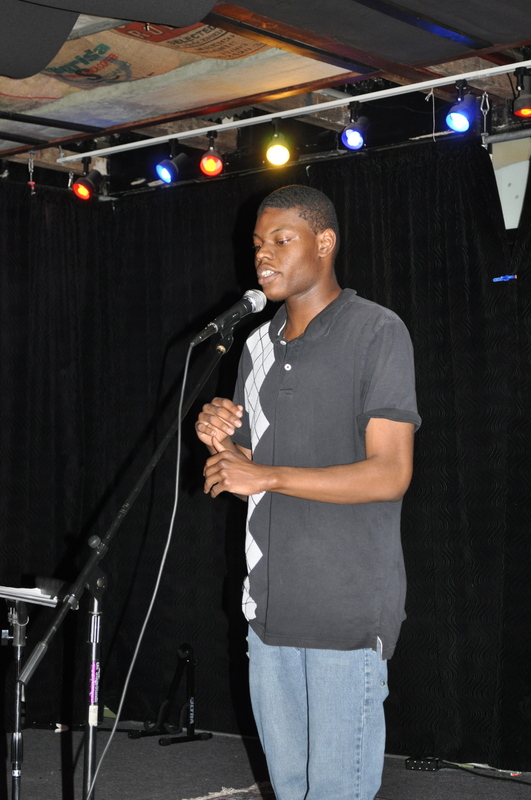 Also a veteran performer, Kayman performed two original pieces. 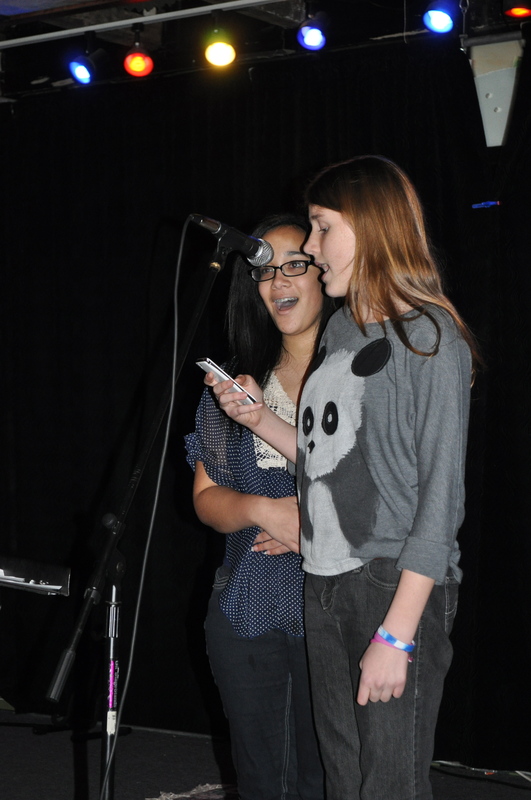 McKenzie and a friend turned Katy Perry’s “Firework” into a fabulous duet! 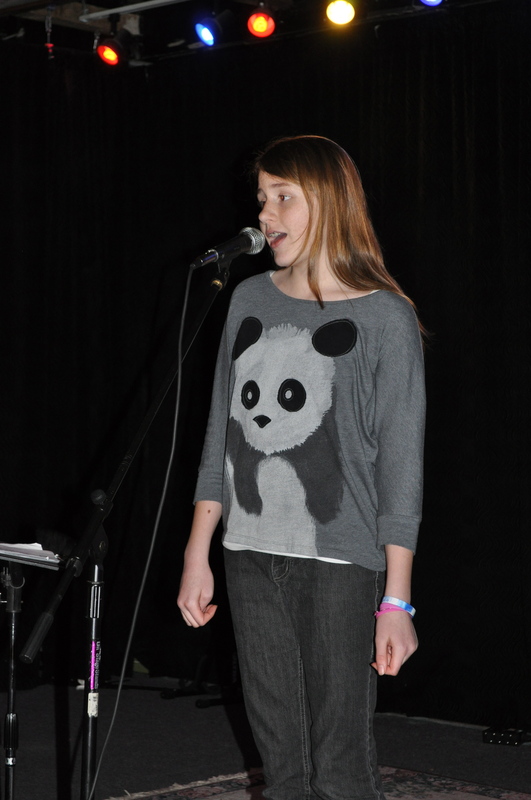 A young performer singing a wonderful rendition of Adele’s “Someone Like You”.